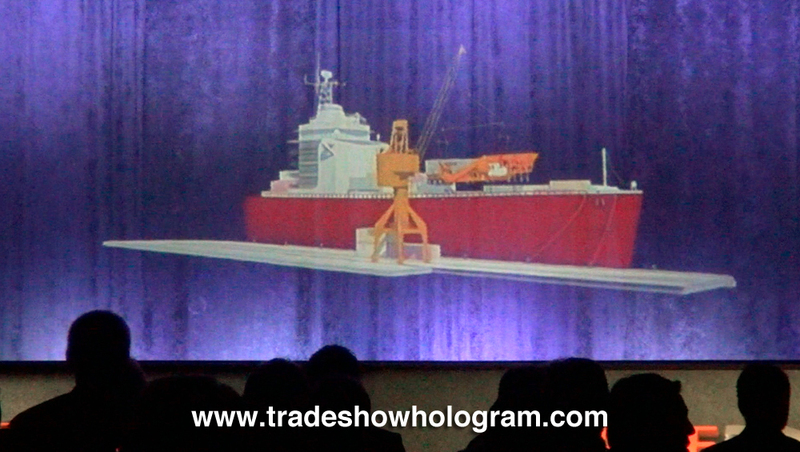 Trade Show Holograms recently displayed their largest 3D hologram projector ever. This giant hologram projection is a full 20 ft across floating in open space. Until this model was made available the largest hologram available was 6 ft tall and 10 ft wide making this new model double the width of the earlier model. Corporate Illusionist Timothy Drake has been developing this special effect technology since 2006 when he first displayed a hologram at a trade show at the Las Vegas Convention Centre in Las Vegas Nevada. Since then Drake has made the 3D holographic exhibits available in a variety of sizes for sale and rental , big and small and now VERY big! The hologram projectors display a full colour, fully animated presentation that appears to float in the air. 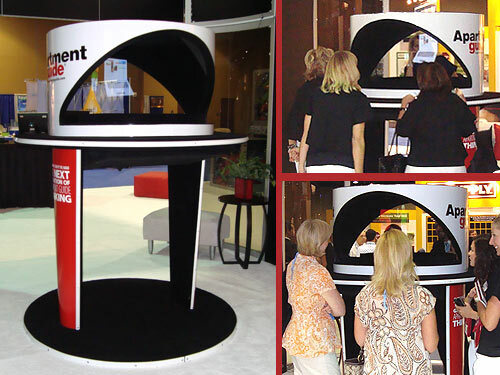 The amazing visual display can be seen in 3D without the use of any 3D glasses and attract crowds to a trade show booth or press conference. 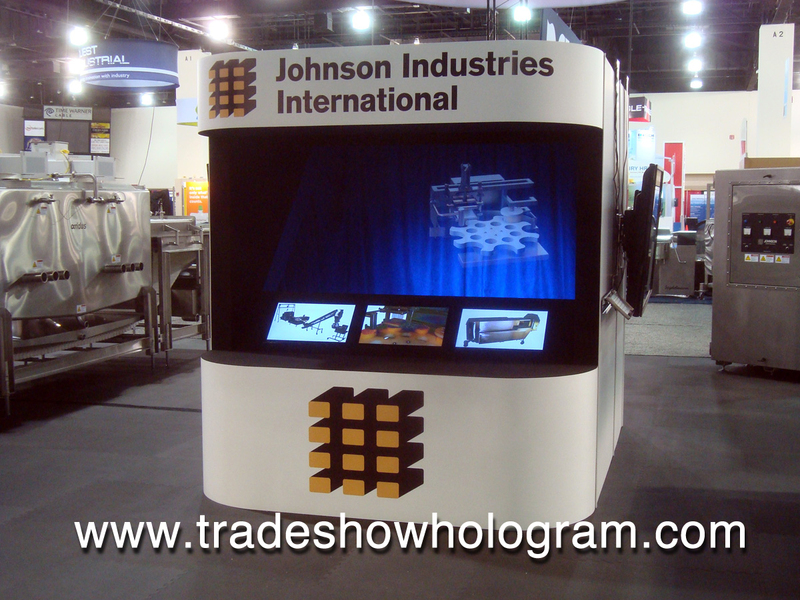 Holographic Projection Displays projects a full motion animated 3D holographic presentation into mid air at trade shows and corporate events across the USA and Canada. 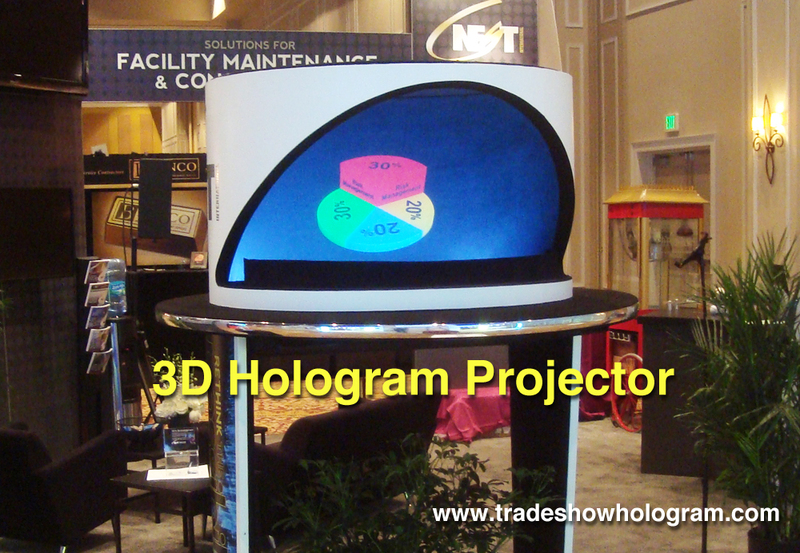 The Hologram projectors are available for rental and sale from Trade Show Holograms, a company created by corporate illusionist Timothy Drake. Hologram Projectors can project an image ( including a virtual spokes person or presenter ) ranging in size from 6 inches to 6 feet tall. 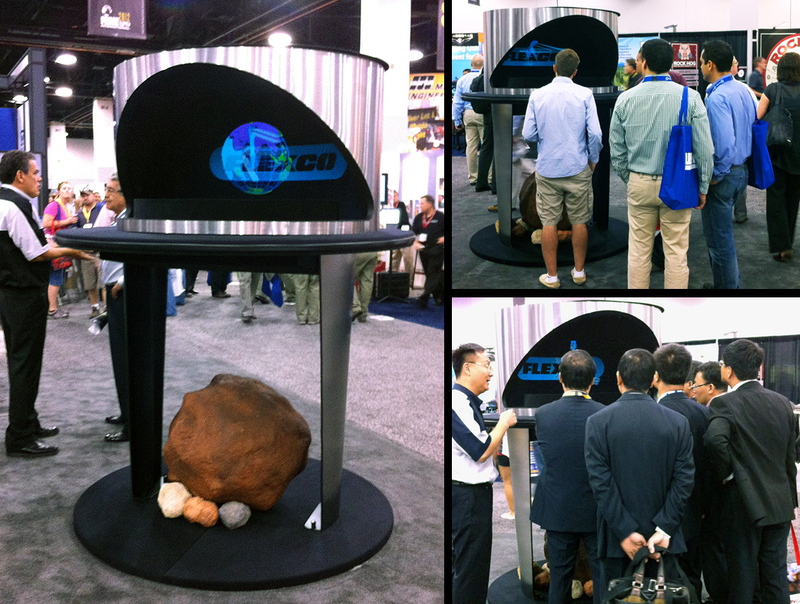 Trade Show visitors watch a 3d hologram projector. 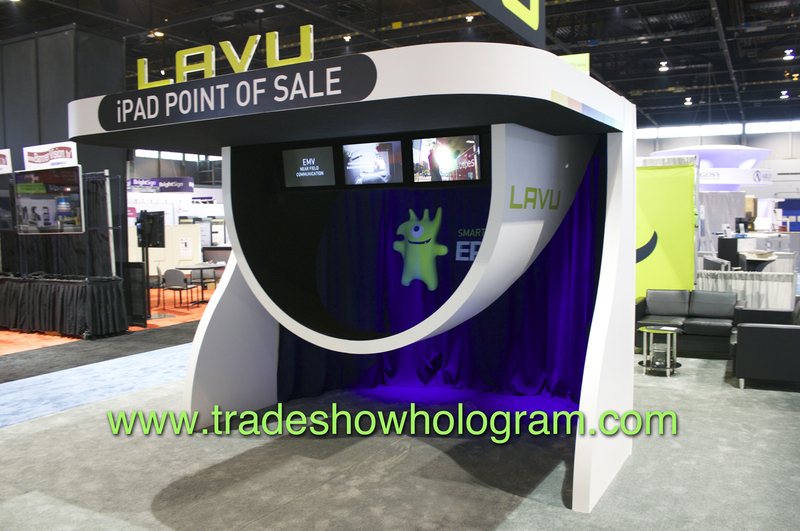 Hologram Projector attracts attention at trade shows in the USA.